Alberto Cairo is the Knight Chair in Visual Journalism at the School of Communication of the University of Miami teaches data visualization and infographics. He's also director of the Visualization Program at UM's Center for Computational Science. He holds a BA in Journalism (University of Santiago de Compostela) and a MA on Information Society Studies from the Universitat Oberta de Catalunya (Barcelona). He teaches courses on information graphics and visualization, and is interested in the convergence between Visual Communication, Journalism, and Cognitive Science. He is author of the books Infografía 2.0: Visualización interactiva de información en prensa(Alamut, Spain, 2008) and The Functional Art: an Introduction to Information Graphics and Visualization, published by PeachPit Press, a division of Pearson Education, in September 2012. 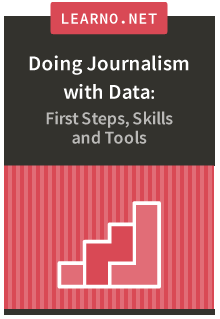 In 2012 and 2013, Cairo organized the first journalism Massive Open Online Course (MOOC) ever produced in the world, in collaboration with the Knight Center at the University of Texas. Between June 2010 and December 2011, he was the director for Infographics and Multimedia at Editora Globo, the magazine division of the biggest media group in Brazil, where he acted as an executive editor for the weekly news magazine Época and as an internal consultant for the other 12 publications of the group. He has also been an assistant professor at the School of Journalism, University of North Carolina-Chapel Hill, between 2005 and 2009. He was the James H. Schumaker Term Assistant Professor in 2008 and 2009. Alberto Cairo led the creation of the Interactive Infographics Department at El Mundo (elmundo.es, Spain), in 2000. Cairo’s team won more Malofiej and Society for News Design (SND) infographics international awards than any other news organization worldwide between 2001 and 2005. Cairo has been an invited lecturer and keynote speaker at all most influential international conferences on visual journalism and design. He has taught in nearly twenty countries, where he has also been a consultant with many top news publications. Comprising of video lectures, tutorials, assignments, readings and discussion forums, this course is open to anyone in the world with an Internet connection who wants to tell stories with data.